The Lighting Zone, Inc. was founded on the simple truth: "Your success is our success". Our trained staff has the experience, equipment, and desire to make your next production a pleasant experience. We invite you to give us a call with all of your production needs. 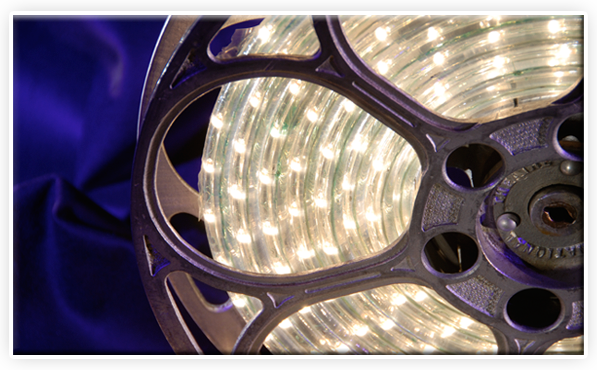 The Lighting Zone, Inc. is a C corporation registered in the state of Texas. The principles are: Mark Clark President, Maria Elizondo Vice President / Rental Manager, and Kathy Elizondo Business Manager. The Lighting Zone’s co-founder, Mark Clark, entered the freelance world in 1980. His production company, MC Productions, soon gave way to Cinema Ventures, a funding company that produced the feature film “Billy Galvin”. The motion picture starred Karl Malden, Joyce Van Patton, and Lenny Van Dohlen. In 1986 Mark Clark reorganized his production company into the service only organization, MC Lighting & Production Services. The company helped shape the look of national and international documentaries, television series, local and national commercials, feature films, as well as a host of other motion picture and video projects. While most of the company’s work was done in film, it was equally comfortable blending the esthetics of film lighting with the engineering demands of the video format. In 2005, MCL acquired the lighting and grip assets of Plus 8 Digital. With this equipment, MC Lighting & Production Services was incorporated into The Lighting Zone, Inc. and continues to provide lighting and grip equipment throughout the southwest.